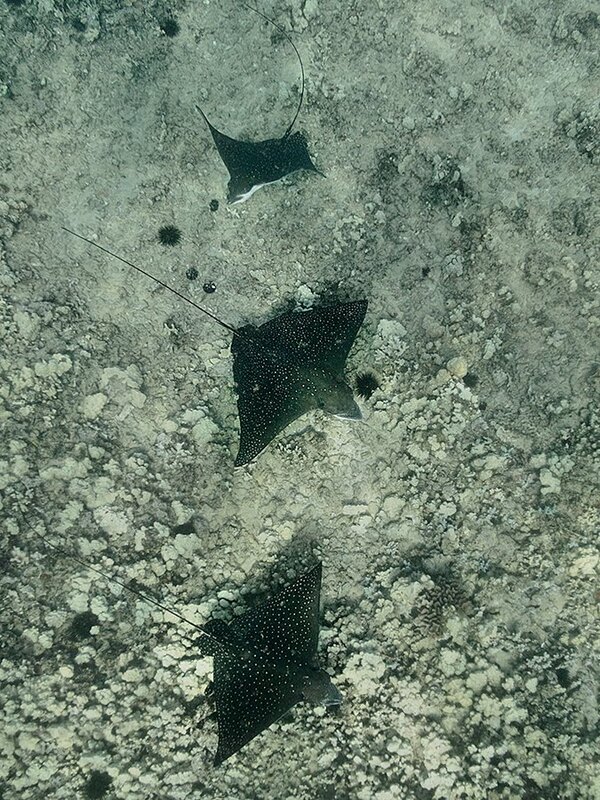 My goal this morning was to get all three Spotted Eagle Rays and both White Tip Reef Sharks in the same photo. 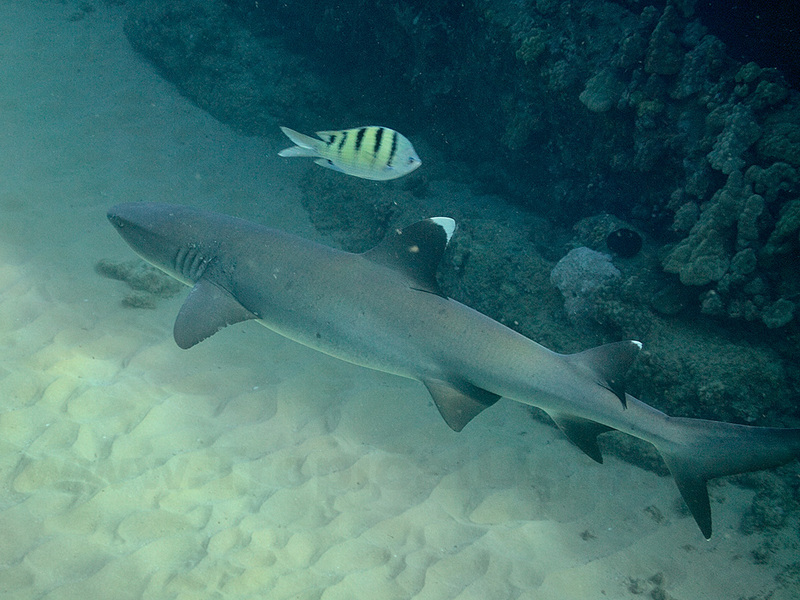 It was quite a struggle to keep up with them in the strong current, but the sharks kept circling nearer and nearer so I kept with it. Until the guys fishing from shore started casting their unbaited fishing hooks at me. Fortunately, I was far enough out that they couldn't get accurate throws and the lines only landed on either side of me. I was able to dodge the hooks and took the hint - I got out of there. Good thing, too. I soon encountered and swam with the same Manta Ray we saw on the Sunday swim. 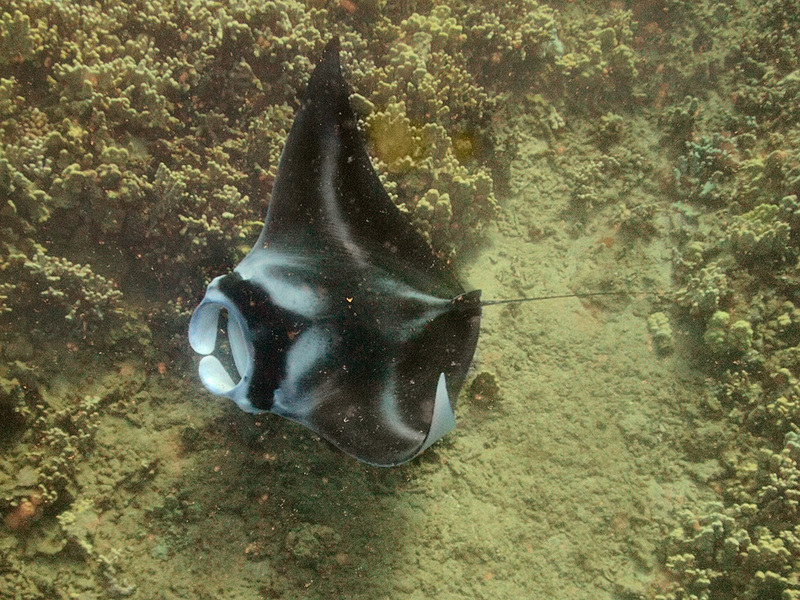 And everyone knows that Manta Rays are a lot more fun to hang out with than Eagle Rays or White Tip Reef Sharks.